In order to ensure an excellent Valentine’s Day, you’ll need a few supplies: a red (crimson) leaf, a pen, and preferably, a palace with its own stream. Compose a love poem on the leaf and let the world know your feelings. Place the leaf in the stream and watch as it flows out of sight. It will be picked up by somebody who will write a similar poem of longing next to yours and place the leaf back in the water (pay no attention to the whole upstream/downstream thing; in this scenario, water flows to the lover), on which it will return to you. Neither of you will know who wrote the other poem—but in time, the two of you will meet, fall in love, and find out, on your wedding night, that you two penned those love poems on the same crimson leaf. Bliss is guaranteed. Though this story originated during the Tang dynasty (618–907), “writing a poem on a crimson leaf” became a metaphor in Chinese literature to describe a happy marriage destined by fate. 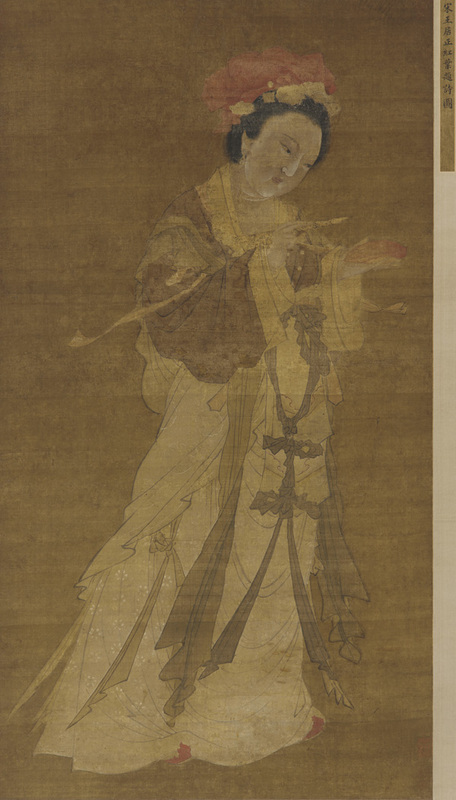 Learn more about Chinese art in our collections. Next Post Next Post: Happy Birthday, Charles Lang Freer!